Suppliers of a huge range tropical plants. 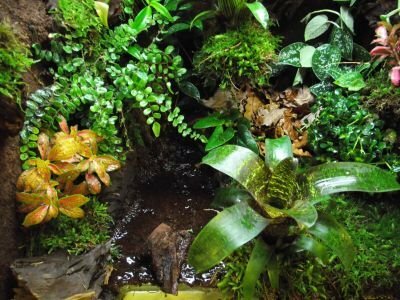 Rainforestvivs have been supplying plants to the amphibian and reptile trade for many years. We have a huge range of tropical plants and bromeliad that are also suitable for the home. Pressed cork panels ideal for use as backgrounds in the vivarium or terrarium. Flat making it easily glued on. Easy to cut to size with a knife Great for climbing plants to root to or attaching bromeliads. Our new Rainforest misting system. Comes with high pressure pump cabable of running up to 10 of our nozzles. Complete with 2 nozzles 2 bulkheads 1 tee piece 1 elbow 2 metre of 6mm pipe and 1 metre of 8mm pipe. SPECIAL INTRODUCTARY OFFER.